Learn about the different channels available to you through Starfish Connect. 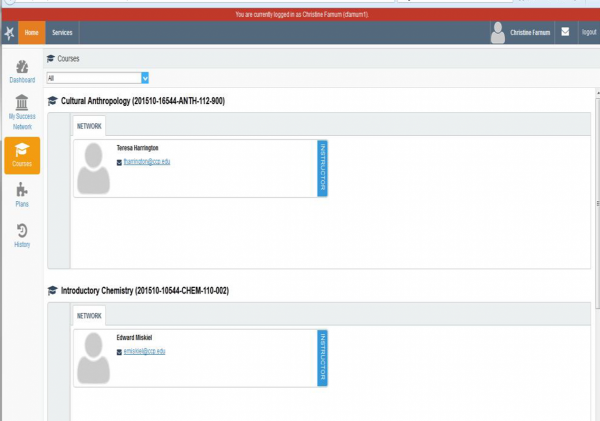 Log into your Starfish Connect Home page by first logging into Canvas LMS. This is the new look of Canvas. If it's your first time in Starfish, setting up your profile makes it easier for your instructors and support staff to get to know you and stay in contact. 1. Click your name in the top right corner of your Home page to open your profile. From here, you can customize your profile by uploading a photo and setting appointment reminders. 2. Once you have made your desired changes to your profile, click the Submit button to save your updates. Your Dashboard displays upcoming appointments and date-based tasks on the left to help you plan your week. Click Home to access your Dashboard or update your profile. 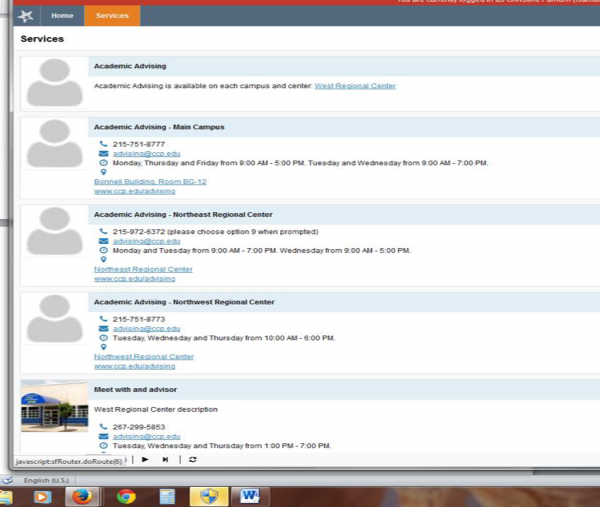 The right hand column of your Dashboard highlights items that require your attention and may include alerts related to your class work, recommended referrals to campus support offices to help you succeed, and Kudos from your instructors. If an email was sent to you related to any of these items, you will find the content of the message by clicking on the messages icon near the profile link in the top right corner of the page. Click the My Success Network icon on your Home page to display your personalized network. My Success Network shows your instructors, selected services at the College, and other individuals or Centers you are connected to. This channel lists the people and resources that are available to assist you. (You can browse a broader list of available services in the Service Catalog). For each person or service listed you will find contact information, supporting websites, etc. Click the Courses icon on your Home page to display information about courses you are enrolled in as well as contacts and available support related to each. Like the My Success Network channel, it is personalized to show the people and services specific to the courses you are taking. Services is a catalog of all services and resources available on campus, including contact information and hours. Certain counselors and advisors may be listed in your personal My Success Network channel, but other individuals and services can be found in the broader Services catalog accessed from the top navigation bar. On this page you can search for a service or scroll through the list of available services. For each service you can, view contact information, and visit service websites.